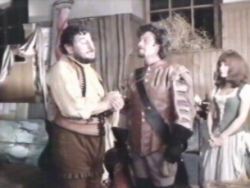 Mireille informs Francois of the aims of Don Alonso. She instructs Francois to get to the Duke de La Force and to inform him of the Spanish attempts to prevent the truce being signed at the conference. Don Alonso, meanwhile, is furious that the French agent has again escaped and vanished from sight. 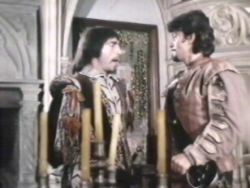 He informs Don Ricardo that he must do everything possible to prevent him from disrupting the Spanish aim of taking Casal. 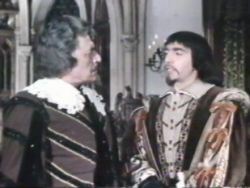 Ricardo informs Don Alonso that the Cardinal Richelieu as agents all over the neutral state they currently reside in and requests to use heavy handed tactics. Don Alonso is not happy about this but agrees that Ricardo must go quietly. The Count is now realising that it was a big mistake inviting Don Alonso and his army into his state. 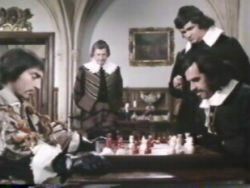 Mireille gives Francois the Cardinal's orders that he must leave in the morning. 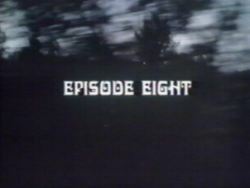 Mireille is then intercepted by Ricardo who asks her questions about Isabelle. 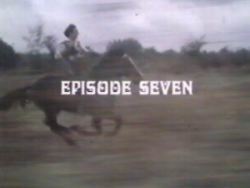 Mireille then goes to see Guillot who is hiding in the Chateaux. She introduces him to new ally - the head of the partisans Louigi. Mireille instructs them to watch the Spaniards in the house and then to help Francois escape the following morning. Back at the house, Ricardo is snooping around and comes across the players. He then starts to look around and questions the gathering. He also takes away their papers and examines them. He remembers seeing their papers earlier and notices that they have been recently altered. Ricardo then sees Mireille returning to the house and wonders where she has been. He realises that something is afoot and plans to trap all the French agents in one swoop. Francois is saying goodbye to the players as they realise that he must leave soon. They are generally upset that they will not see him again. Zerbinette is very upset as she has fallen form Francois and she asks him to kiss her. He kisses her on the forehead (his heart belongs to Isabelle remember), but then she holds him, tells him she loves him and plants a smacker right on the lips, just as Isobel appears - oh dear.......a woman scorned....well you know the rest. 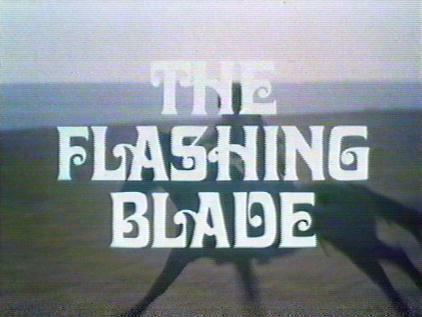 Isabelle in her fury goes straight to Don Alonso and informs him that the French agent he is looking for is in this very house. Francois is discovered and chased out of the house,. He and Guillot are both captured and taken prisoner by Ricardo and his men. 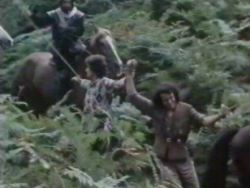 The Spaniards are escorting the duo through a wood when the local partisans open fire and Francois and Guillot are able to escape. 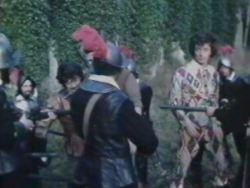 The Count threatens to take back the neutral position of his country but Don Alonso is not bothered by this and reminds the Count of the Spanish army presence. He relives the Count of his function of organising the conference and removes the weapons from his guards. Don Alonso will take personal charge of all matters concerning the conference. Don Alonso then thanks Isabelle for her action have allowed then capture and execution of Francois. She is devastated by the news. She tells Mireille of what she has done and that she wishes to die. The Pope's envoy opens the conference in the absence of the French delegation. They immediately get a letter sent out to the French ordering them to attend. The messenger on horseback leaves the Chateaux and he drops the letter in some nearby bushes which is then picked up by a local peasant who takes it Mireille. She takes the letter to the Pope's diplomats and informs them that she works for the Cardinal. 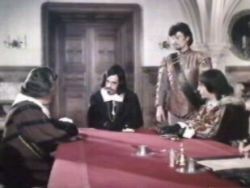 Don Alonso then demands that the Count inform the King of Spain that he invited the Spanish troops into the neutral state. 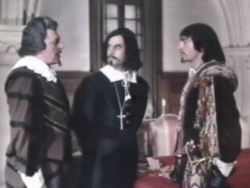 The Pope's envoy interrupts them and informs Don Alonso that he believes the letter has not been sent. He shows him the letter that did not leave for the French. Don Alonso blames the rider and states that he did not have anything to do with it. 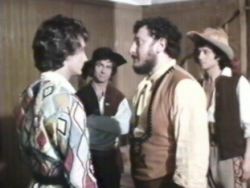 Don Ricardo is summoned to the room and Don Alonso tries to pretend he has nothing to do with it. Don Alonso demands that the rider be punished. The Pope's envoy is not fooled and insists that his companion Carlos Bodinelli now take the letter. The Count informs Monsignor Julio Mazarin that he did not invite the Spanish into his state and that they entered with force. Isabelle is now very ill, she has lost all hope for living and now lies in her bed. 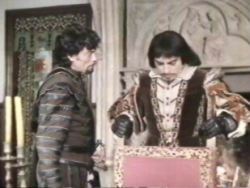 Don Alonso issues orders that the lady in waiting Mireille is to be watched twenty four hours a day as he does not trust her. 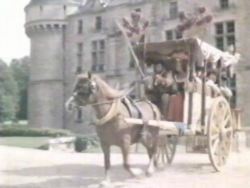 He orders the players carriage to be sent back to Italy. They protest but Ricardo reminds them that they harbored a French spy. The Pope's envoy complete with letter leaves the courtyard closely followed by the players in their carriage.